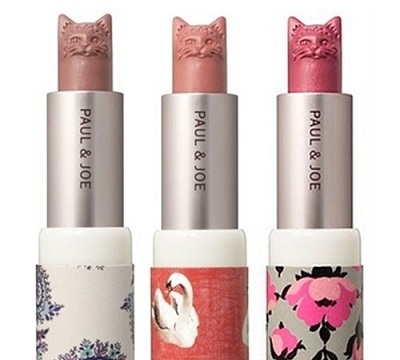 There’s a certain luxury element to a lot of beauty purchases, with many brands deliberately setting a high price point so seem more aspirational. You have expensive though- and then you get ridiculous. 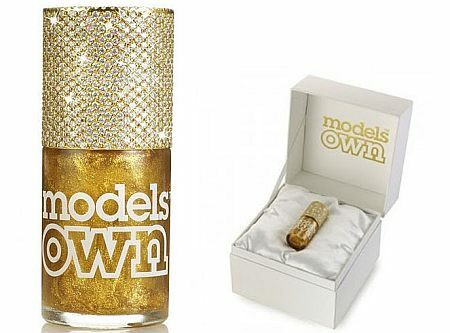 Models Own, a brand known for their wallet friendly nail range joined d=forces with Frost of London ( a posh Bond Street store) to create a Gold Leaf polish that costs £83,000. Yes, all those zeroes were correct. The varnish is made to order, so they don’t have loads of bottles sitting around, and they’ve released it as a bit of a PR stunt- pushing you towards the £5 ready to wear version of this expensive bottle. Still, you have to wonder, is this going to be a trend we see more of? I really hope not. Hairdressing is an art form, which takes stylists many years to perfect- and is now something you can practice at home, Using the Wii you can cut, colour and style hair, and get ‘tips’ based on how well you perform. The Busy Scissors game uses Redken products, and is an interesting way to get people into the industry from a young age. Way back in December I tried my first ever fish pedicure- in Thailand. I was amused by the nibbling Gara Rufa fish (who like to chow down on your dead skin) but thought no more of it than a fun travel style experience. Six months later, this trend hit the UK with fish pedicure bars springing up everywhere, from Camden Town to South Kensington. Once it had hit Kensington (in a very posh looking spa called Aqua Sheko) I realized it was here to stay, and this fad shows no sign of slowing. I’m impressed- I would have thought the Brits were to reserved to accept this into their life. This started with Chanel, charging way too much for their pretty body art, and this fad proved to be more than a passing trend. Next up was Urban Decay with their pretty decals, and now Beyonce and Temptu are creating a range of fake tattoos that will be out next year. Who’d have thought the fake tats of our youth would resurface in such a stylish way? 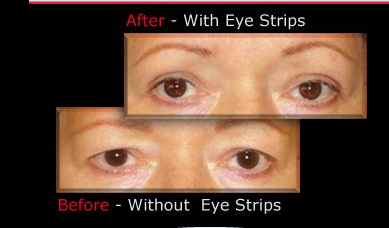 Eye Contour Strips- Band Aid Eye Lifts! When I first saw these Eye Contour strips I thought they were a joke. Then they started getting positive press in some reputable mags, so I gave them one more look.. and decided they were still a joke, but with a good PR company. The Eye Contour Strips are small pieces of tape that you use to pin up the eyelid with. Bizarre. If you want to know more go here. I guess the popularity ties into the fact that everyone is very scared of ageing, but c’mon- the old sellotape trick? Hmm. 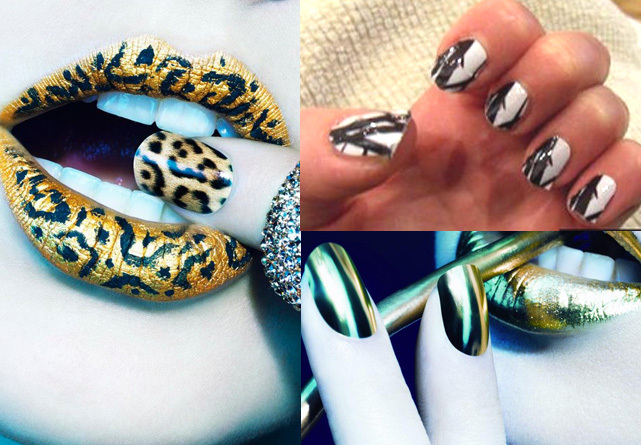 2009 was the year of Minx nails, foil covered delights that were suctioned onto your fingers through a heat lamp and some serious filing. They glimmered in the light, and lasted around 4 weeks. They did cost a lot though- approx £40 for a set, so 2010 was about creating the effect on a budget. Lo and behold Nail Wraps and Nail Stickers (kinda the same thing with a diff name) got released and companies like Nail Rock, Rebel Nails and Elegant Touch all released their own home kits. This involved a similar process- apply, heat (with a hairdryer) and file excess, but the finish is a little more tacky and doesn’t last as long. Will it still be cool next year? Time will tell. ‘The womb room treatment is part of the hotel’s ‘Spa Experience’ which includes 15 rooms designed to take you on a memory journey through life. Entering the room through the neck of a uterus fashioned out of pink carpet, guests find themselves in a low-lit room, with pink carpet splashed with vermillion fabric revolving to simulate a giant umbilical cord, and there are blood-coloured waterbeds designed to indicate the amniotic sac. 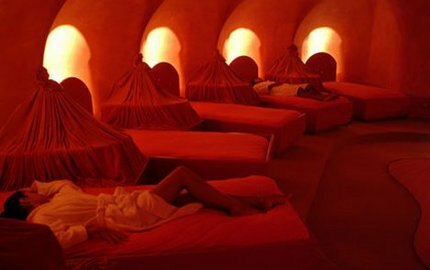 To aid the process of unwinding once guests lie down on the beds, breathy music is played to re-create the noises heard from within the womb.’ Um, yeah. I wonder just who this would appeal too? Perfumes used to be rather static things. You’d pick one, spritz it on, and that was that. The latest variation in the scent world is turning your perfume into an evolving beauty product- one which can CHANGE, depending on your mood. This works by packaging two scents together (such as in the Forever Fragrance Wardrobe from Accessorize) and allowing you to layer them to create a whole NEW scent. We may have been doing this unconsciously anyway. when we change our scent for the evening, but this style of spraying takes all the guesswork out of it. Paul’s Boutique offer a similar thing with their 24/7 scent. I quite like this layering idea.. what do you think? This odd trend came courtesy of our US cousins, and encouraged women to decorate their lady gardens with Swarovski crystals. Yes, really. It gained popularity in early 2010 due to Jennifer Love Hewitt telling the nation that she liked to ‘vajazzle’ her ‘vajayjay’. Nice, I know. We then saw it reach UK salons, and recently got to endure a live application on the trashiest of reality TV- The Only way is Essex. For better or worse, it seems this sparkling trend is here to stay. Can you think of any other weird beauty trends seen in 2010? Let me know below!